Everyone is afraid of getting old. If at this point you are already feeling the effects of aging creeping on you, I'm sure you want to know how to sustain physical fitness past your prime. Learn how to defy aging by joining Immuvit's Run Against Time on August 21 (Saturday), 5:00PM at the Bonifacio High Street, Taguig. 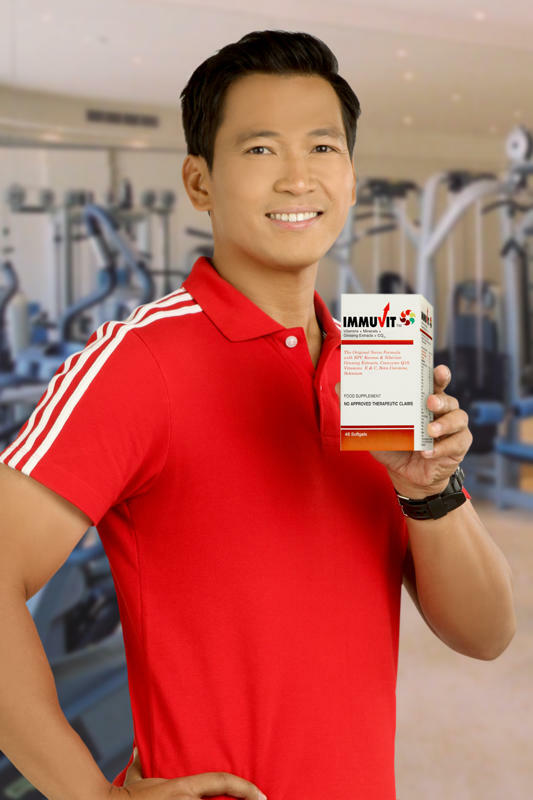 The multivitamin supplement IMMUVIT calls their campaign Run Against Time, which aims to share knowledge and experiences on how to stay fit and healthy as we age. The afternoon will be packed with exciting and educational activities that will surely push us to have an active lifestyle in order to feel better and fight the effects of aging. Run Against Time includes a two-part program on health and wellness. US-Certified Coach Jim Saret will discuss “Workout As The Fountain of Youth” and “Living Within The Parameters of Youth.” He will also demonstrate the Four-Minute Workout that he developed, which enables one to burn up to 600 calories in just four minutes. A 1.5K to 3K cardiovascular endurance training run with national running champions Cris Sabal, Aileen Tolentino, Merecel Maquilan, and Isidro Villadosal. Want to join the activity? Be one of the first 100 participants to register by sending your name, age, address, and contact details to chriscahilig@gmail.com and get FREE running singlet for yourself. IMMUVIT contains 2 essential Ginseng extracts – Korean and Siberian ginseng – plus CoQ10. Combined, these superior ingredients effectively help slow down the manifestations of aging. The ginseng extracts provide your body with that much–needed boost of energy. While CoQ10 is a powerful; antioxidant that repairs and reverses the cellular damage caused by free radicals thus bringing vitality to the skin and body. IMMUVIT is also a good source of vitamins, minerals, and other antioxidants that help the body build a stronger immune system and fight free radicals that cause cell damage.